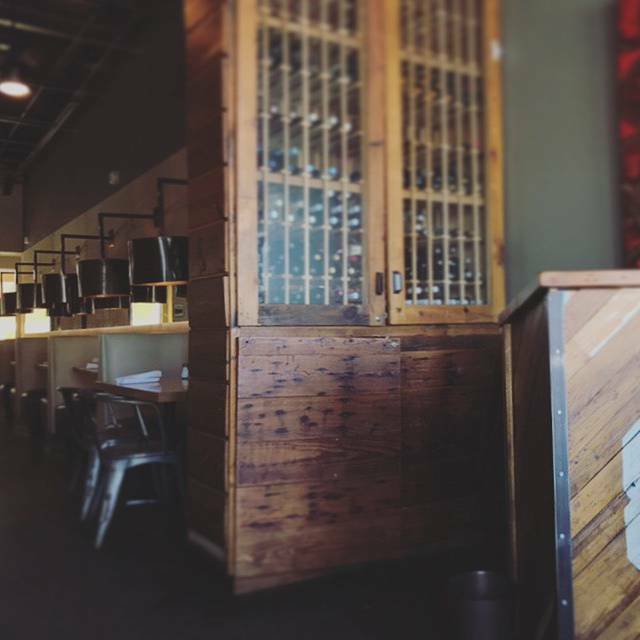 Origin Kitchen + Bar has a private lot for our customers. Origin Kitchen + Bar features seasonal craft cuisine highlighting expertly sourced ingredients. Origin's cyclical menu celebrates the flavors of each season using the freshest ingredients presented with a rustic sensibility. Origin's beverage program offers hand-crafted cocktails, a diverse and accessible wine list and a variety of beers highlighting local breweries. Our passion for fresh, seasonal flavors drives a seasonal cocktail menu celebrating classic cocktails with a unique approach. Bacio Della Luna, Italy, Prosecco D.O.C. High end pricing for fare type but the expense was legit due to the food quality being exceptional. I know this place understands how to deliver high quality clean food. We are happy to pay a small premium for well planned and prepared organic meals. 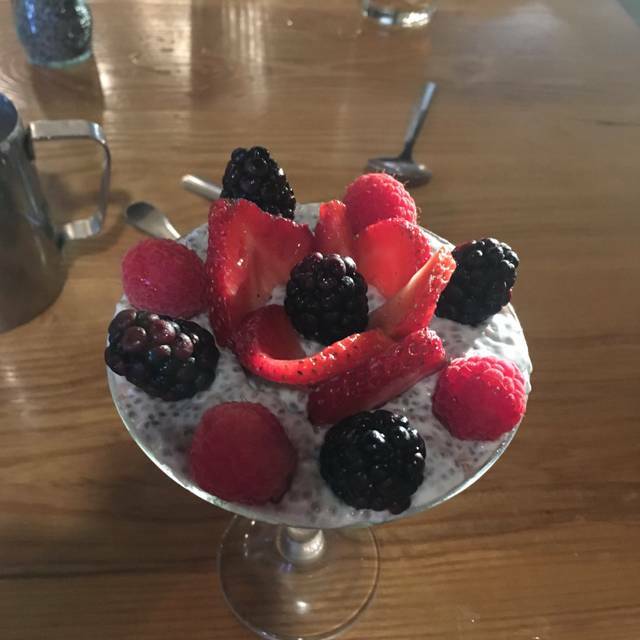 This is one of the best organic restaurants I have ever been to. 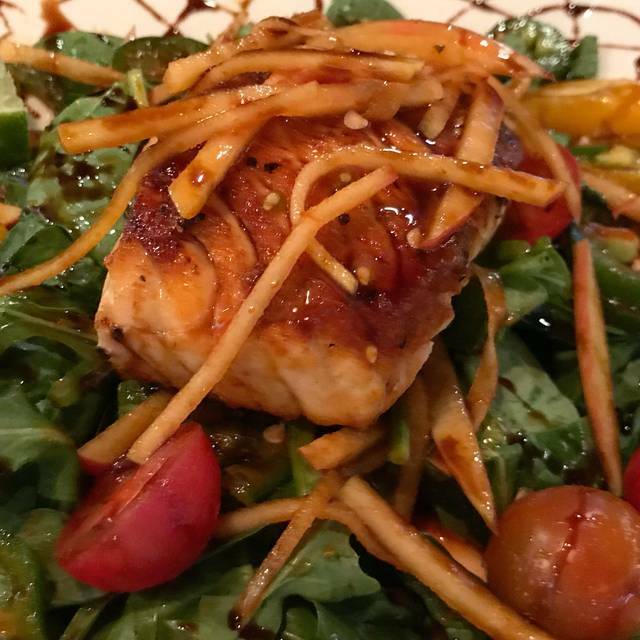 From the friendly and knowledgeable staff to the creative and tasty chef specialties, to the delicious farm to table and fresh fish delicacies. This place is always wonderful. Great local spot. Salads and hash bowls are wonderful; coffee and espresso also good. Energetic fun atmosphere. The nachos aren't nachos - just a big glob red stuff over soggy chips. the atmosphere was very energetic and fun. Server was delightful and we loved their daily specials. We will be back. The food was really good as always. The waiter was correct, but we expect to have smiling people and kind, and our waiter was only ok. The noise level was really high, maybe I wouldnt try this brunch time for a quiet date.. The food and staff are AWESOME! The noise is very loud, so that is my only concern. This place was AMAZING....our first experience and we can't wait to go back! We had three rotating servers checking on us and all had excellent recommendations. The Calamari was the best we have ever had. I loved the Thai Salmon Salad an my husband had the warm brussels salad with hanger steak and loved it too! The specialty cocktails were spot on also. Highly recommend this place. What an amazing restaurant! Very rarely are we able to eat out and have as few of worries of the quality of food that we did tonight! No gluten cross contamination worries, no canola worries, no grain fed protein worries...just an absolutely amazing dining experience!!! Waiter was great but bar was severely backed up. Great food and atmosphere. Food was awesome, service was awesome. It was a little awkward not being in a booth since it was date night. We were at a table for 2 in the middle of the restaurant. It wasn’t terrible but it wasn’t as intimate as I was hoping for date night with reservations. We were celebrating my wife’s new job. Overall the dining experience was very nice. Definitely a place I’d go back to with friends, but not necessarily for date night. I cannot say enough great things about this restaurant. The food is great the service is excellent. They cater to GF! Staff and managers are very knowledgeable and very understanding of any food allergies. Even if you don't have any, the food is outstanding. 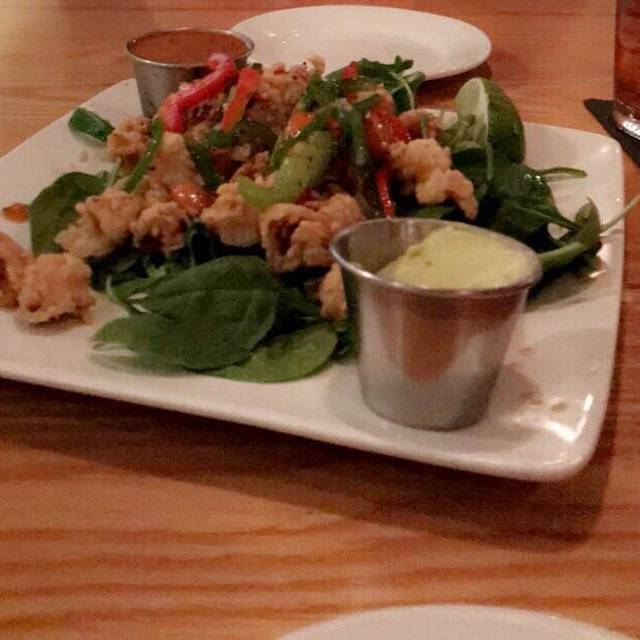 We had the GF calamari; nice and crispy, flavorful with GF dipping sauce and on a bed of greens. 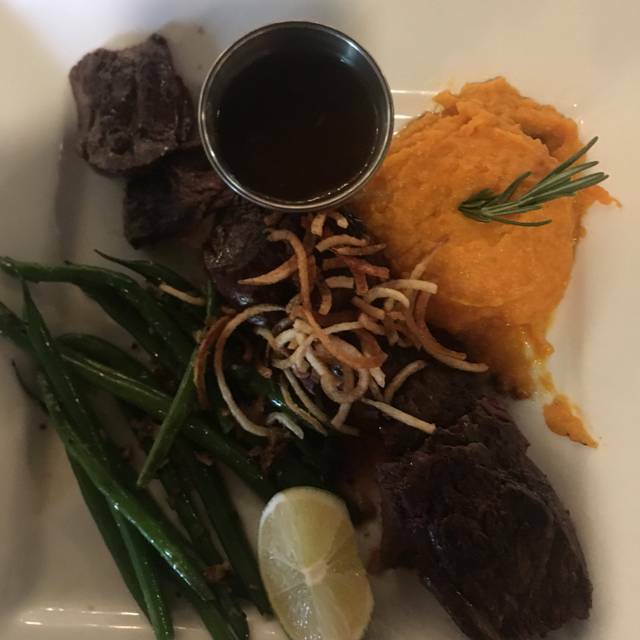 I had the grass fed boneless short rib and wow! It melted in my mouth. Do yourself a favor and go eat at Origins! Excellent, fresh, flavorful food, beautifully plated and served by an attentive staff. I had the hash and it was very flavorful and filling. Im vegan and the restaurant was very accommodating and staff was agreed rice and great. Small and crowded, i def recommend reservations. This is one of my favorite restaurants in Dallas. The food is ALWAYS great. The service is wonderful. The ambiance is fun and cozy. 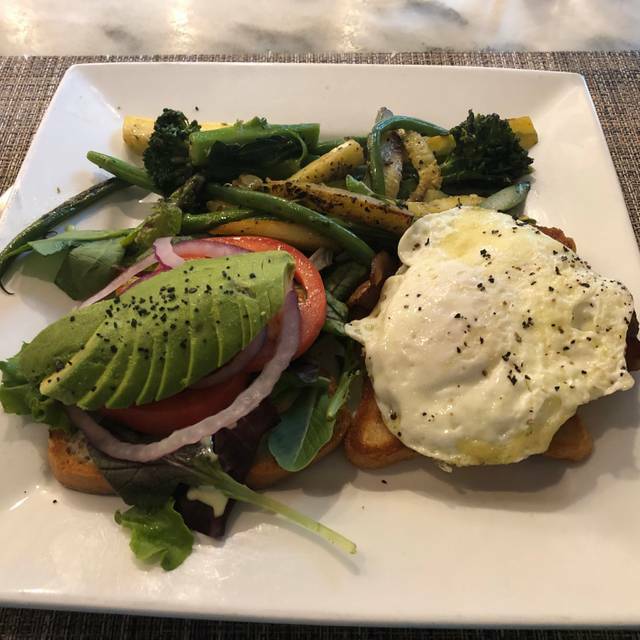 Great food and delicious Whole30 choices. 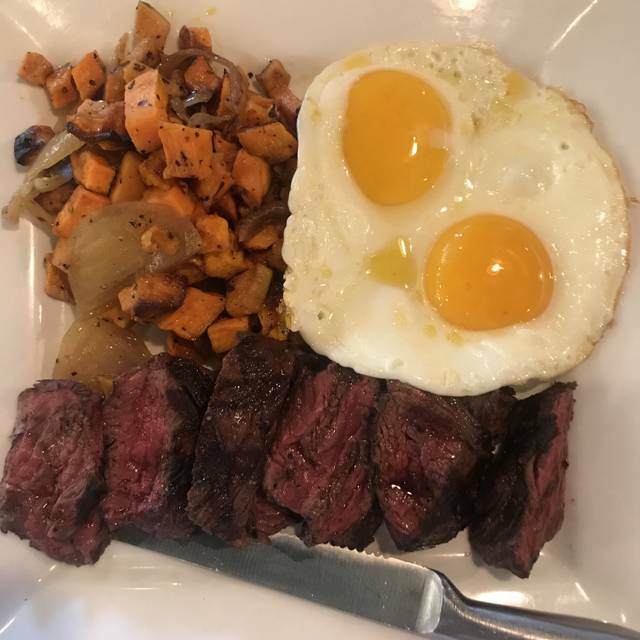 My husband had the chicken and waffles, my daughter had the king and I had steak and eggs with sweet potato hash - all delicious. 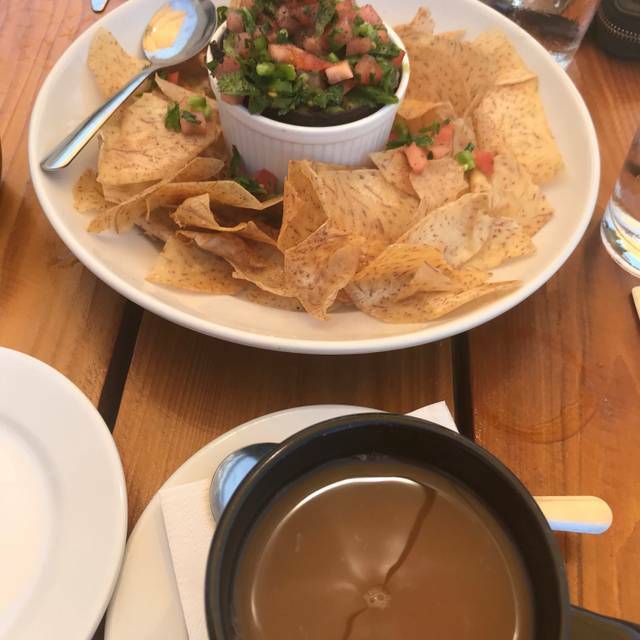 Coffee was amazing and service was great too! We’ll be back! Great service. Enjoyed the food. The quality of the food is sometimes great and sometimes … well not as great. I’ve noticed the as the menu prices increase the quality of the food prepared decreases. I don’t mind spending $25 on breakfast but I’d like the pancakes not to taste like onions or whatever else us in the grill. This was my favorite restaurant for a long time. I really hope the quality control comes back to this. We are regulars here and LOVE the food and wines! Come - you won’t be disappointed! Four of us dined at Origin on a Saturday night and we had a wonderful experience. The food wasn't run of the mill, so I tried some ingredients that I wouldn't normally try, and I was very pleasantly surprised. The root chips were really good! The service was great - we never had to wait long for anything because there were multiple people coming around to check on us. I would dine there again! Great choices of healthy dining. Love it!! Food and service was awesome. Each server was very knowledgeable about their product! It was a great evening. Tona took great care of us, delicious food! Always great food and creative drinks. Our server was an idiot. Thankfully the owner noticed and made up for it. Origin Kitchen + Bar is my favorite restaurant in Dallas. Warm and friendly staff, great food at a great price. Overall the location was very chic and modern. The food is simple, was plated beautifully and tasted fine. Unfortunately, I ordered the kale salad and they forgot to put the goat cheese on it. Did not even realize until I finished the salad but I kept thinking that something was missing! Additionally I ordered a chai tea latte which was watery and tasteless, would not recommend that specific drink. Little less noise would be helpful. Booths are designed for larger people maybe and could be 6" closer which would help to hear when room is crowded. I was thoroughly impressed with my experience here. The food and service was outstanding! Very happy and would definitely go again. Once again the meal and service were excellent! 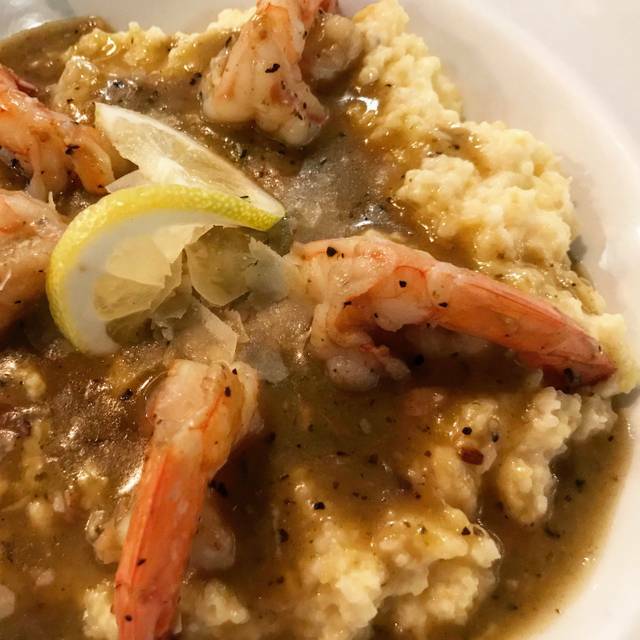 A go to place for consistent dining experience. All gluten free menu, such an awesome place. One of my favorites in Dallas. We loved the food and the service was excellent! The sewage smell coming from the bathroom- not so great. Great service and better food! Willing to accommodate for any dietary needs/restrictions! Great neighborhood place and the ‘clean’ menu was exceptional. I was on the Whole30 program and the food was fantastic. Origin was recommended to us by friends and this was our first time eating there. We are on the Keto diet and the manger explained the menu and advised us on their selections. The food was very good and we were very satisfied. We will be frequenting this restaurant again. They were really busy when we ate but it was a good experience. Consistently awesome service, food and drinks. The food simply never disappoints. I always get the sweet potato and Brussels sprouts bowl and it’s amazing every time. Also love the paleo pancakes!